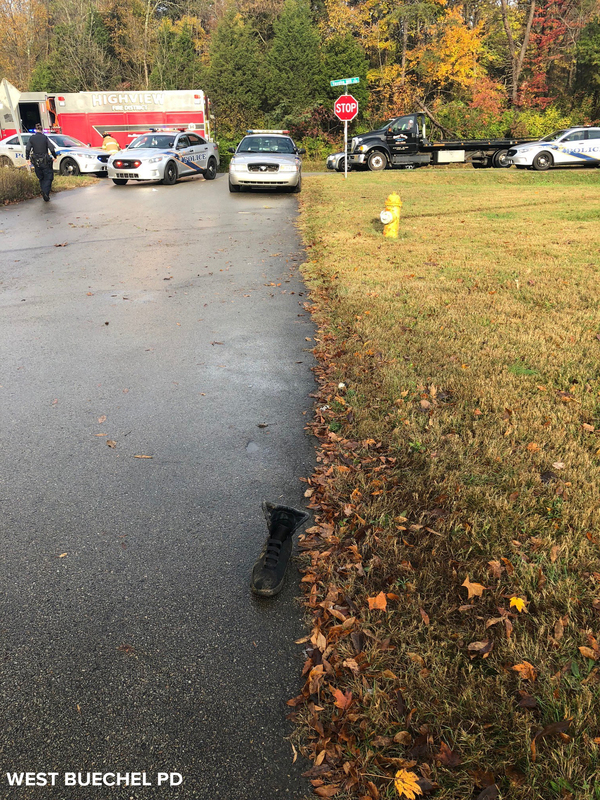 LOUISVILLE, Ky. (WHAS11) — A man is in custody after a police pursuit ended in the woods Monday morning. According to West Buechel Police, officers pulled up behind Aaron Warren, 35, on Mall Road in front of the Target in Bashford Manor. They followed Warren up Bashford Manor and then onto Bardstown Road. Officers confirmed that Warren was driving a stolen truck and pursued him. Warren turned onto Hurstbourne Lane and spun out, but did not crash. Warren then spun out again on Hurstbourne Lane near Watterson Trail. An unnamed passenger in the truck got out and put his hands in the air. West Buechel Police arrested him, but police say that he is not facing charges in relation to this incident. Warren continued to evade police. He ended up on the wrong side of the road and changed back into the right lane as LMPD officers joined the pursuit. He eventually crashed on Stickler Place. His truck ran off the road and hit a ditch. He was ejected from the truck where he hit a fire hydrant and slid across the asphalt. According to LMPD, Warren ran into the woods where he was caught by police. 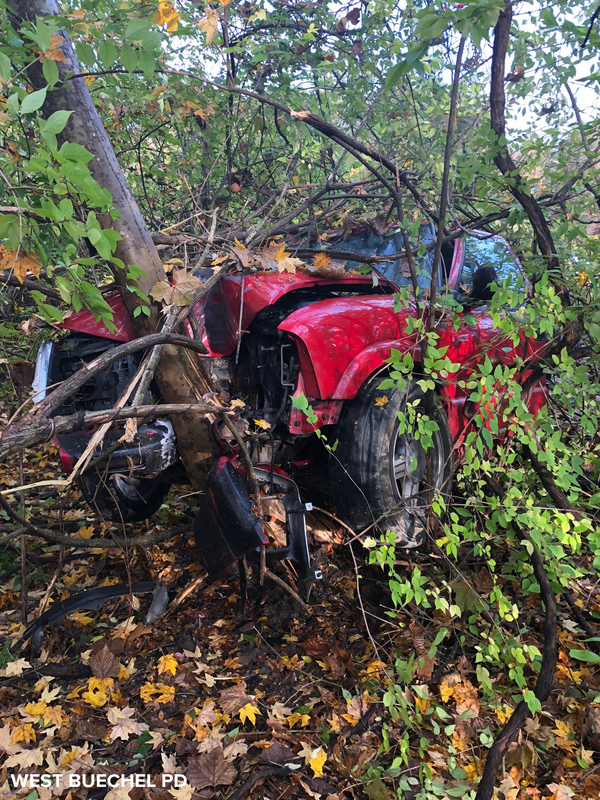 The truck continued into the woods and crashed into the trees. He was taken to University Hospital with not life-threatening injuries. Warren is facing charges of fleeing and evading police, receiving stolen property, possessing a controlled substance, possession of drug paraphernalia, and bail jumping.